There was excitement and anticipation in the air as the students of NMIMS, Mumbai prepared for the Marico Summers Pre-Placement talk. 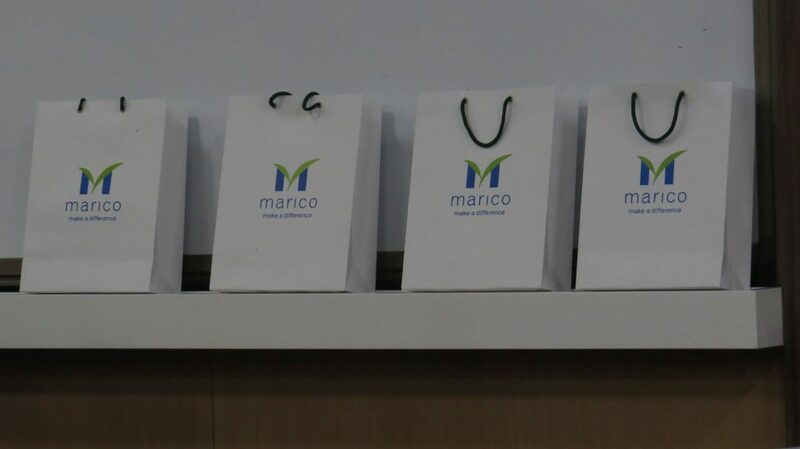 Marico goodie bags were lined up and the students seated themselves in anticipation of a discussion with speakers from one of the biggest FMCG companies in India. But they never would they have expected what came their way! The Pre-Placement talk started with the company quiz and showing videos of their ground-breaking advertisements etc. However, there was something they had in store for us that differentiated them from the rest. We were unaware that the most innovative, fun and interactive part of the Pre-Placement talk was yet to come. No wonder then, when the speakers asked the students to pull out their phones, they were met with puzzled and quizzical looks. The students were asked to open their Facebook Messenger and search for Marico Campus Connections – a chat bot. This chat bot was designed to answer the queries of students, anywhere, anytime. It was very different from the traditional Q&A – the students could ask questions at their own convenience, without any hesitation or inhibitions. The students were thrilled! They soon got busy, typing and asking an array of questions to the chat bot, getting almost immediate replies. Some of the students stated that they would make use of it to ask questions even after the session was over, since very few questions can be covered in guest sessions due to paucity of time. Another advantage the students felt the ChatBot provided was the ease with which questions could be asked – without any qualms or apprehensions. It was probably the first time that students at NMIMS, Mumbai saw such an unconventional Pre-Placement Talk. During the Q&A phase of the PPT, where typically students are seen worrying about which question to ask to make an impression on the panel, here they were glued to their phones, firing away their questions freely. With this initiative, Marico has truly taken the interaction between B-Schools and corporate to another level. NMIMS Mumbai has a very strong alumni base at Marico with several alumni in the Senior Management as Marico Members for years now. Recently, NMIMS, Mumbai, added another feather in its cap by winning Over The Wall, Marico’s biggest campus competition. With such innovative interactions and new initiatives by Marico, the ties between Marico and NMIMS, Mumbai are bound to grow stronger in the times to come.